From driving a vintage sports car to e-biking in Nice, France’s Côte d’Azur offers some surprising adventures, many of which can be experienced year-round. 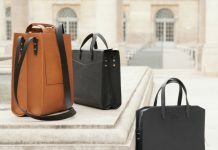 On a recent visit to the Côte d’Azur, I ate in top restaurants, skied in the Alps and visited museums and markets–– experiences which are, of course, on the radar of locals and tourists alike. Visiting during the winter months, I also sought out ways to get active and truly dive into the Côte d’Azur culture. Whether you’re a regular visitor or resident, the adventures I tried may give you a new appreciation for Grasse, Nice, Antibes and destinations in between. For what you might pay to rent a regular car, you can rent a vintage sports car though Rent A Classic Car, giving you a taste of luxury along France’s stunning coast. Spend one day or a week driving a Lotus Seven, Porsche 356 Speedster, Ford Mustang Convertible or put the whole family in the Austin Mini Moke. This service will even bring the car to you. 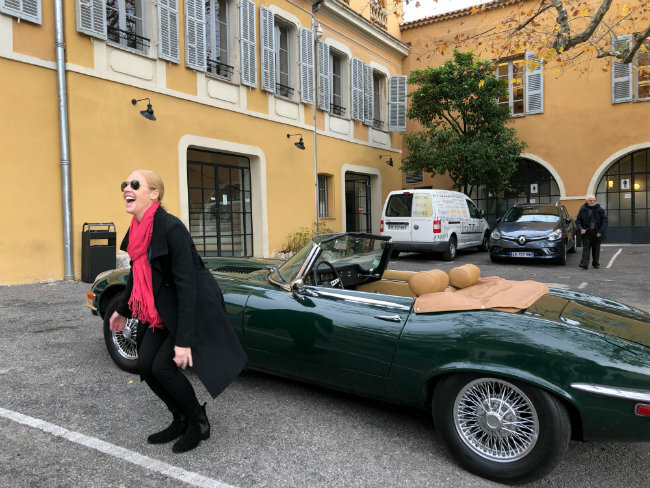 I drove a 1972 Jaguar convertible with just the pep I needed to enjoy driving from Antibes to Grasse. After a brief lesson in driving this automatic vehicle, I was off, revving the engine along past the yachts in Port Vauban. I enjoyed the glances from locals admiring this sporty old vehicle, as I passed the market and Antibes and meandered along the coast at my own pace, which I’ll admit, did get a little faster on the open road. Movie buffs may want to pick a car featured in films from Hollywood’s golden years. I kept thinking back to Grace Kelly and Cary Grant in their Sunbeam Alpine convertible in the 1955 Alfred Hitchcock film To Catch a Thief. Modern movie goers may also enjoy driving the Citroën DS Convertible “Chapron”, which Rent A Classic Car leased to Brad Pitt and Angelina Jolie for the filming of By The Sea. 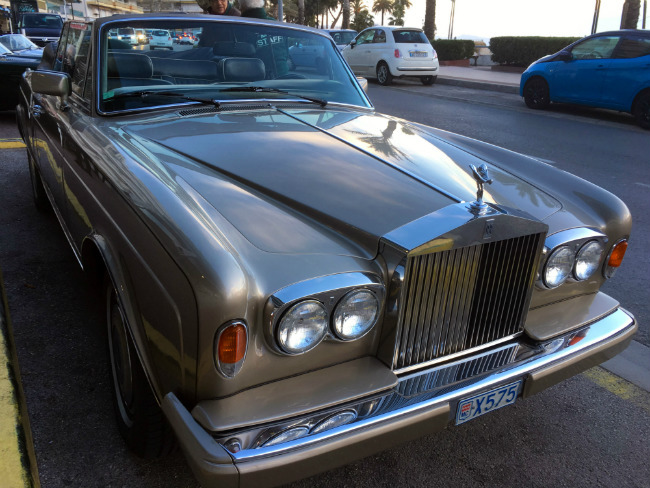 Whatever vehicle you choose, be prepared for a bit of a throwback experience and what will make for awesome photos from your French Riviera classic car adventure. 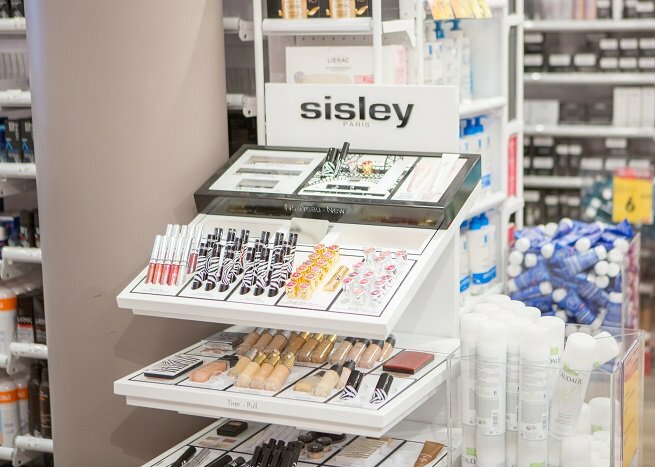 Considered the perfume capital of the world, Grasse has been involved in the perfume industry for centuries. 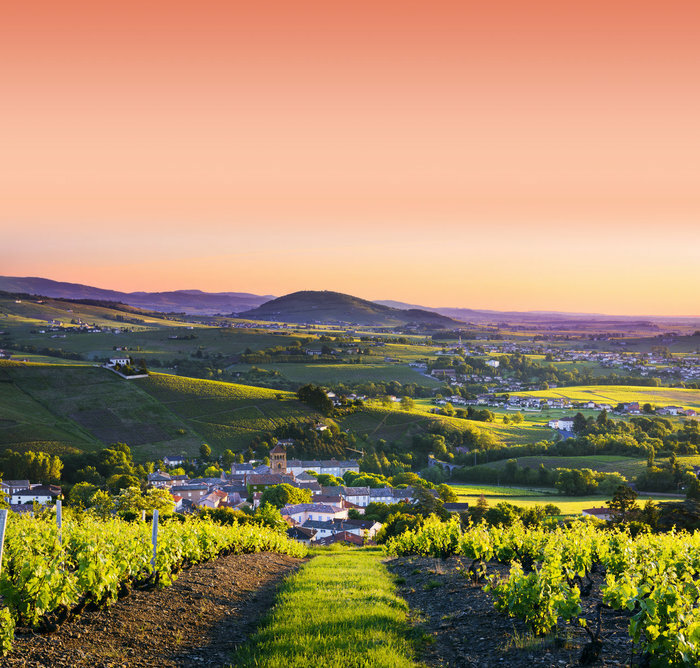 Today, many travellers visit this inland hilltop town to explore the International Perfume Museum, tour perfume factories, like Galimard and Molinard, and shop and walk in the old town. A few of the perfumeries also offer travellers the chance to get creative and craft their own scent. 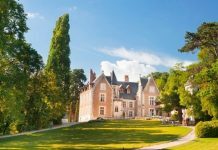 At the historic Fragonard Perfume Factory, you can take a free guided tour, but I suggest going one step further and actually taking their perfume making workshop. Fragonard has two main emblematic flowers, rose and jasmine, but upon diving into my workshop, I learned that making a perfume requires so much more than just the combination of a few scents. To make a perfume, professional “noses” choose from thousands of essences, combining dozens to make just one fragrance. Workshop leaders instruct travellers on the proper techniques–– helping you to smell and blend, until you’ve made your very own perfume. I took a workshop with Corinne Marie-Tosello, who coached me through the process of identifying scents and made the process fun. This involved not only smelling a series of essential aromatic essences, but also working to identify them with things that were personally significant to me. Corinne had me close my eyes, breathe deeply and describe each scent in a thoughtful way, before blending and smelling again. From citrus to orange blossom and things that didn’t smell all that fantastic on their own, I worked to create something unique to me. 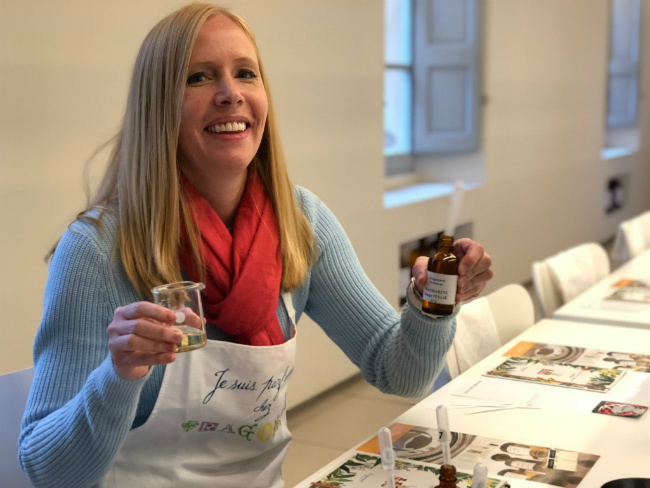 At the end of the experience, you will have made your own small bottle of eau de cologne, which you can label and take home. 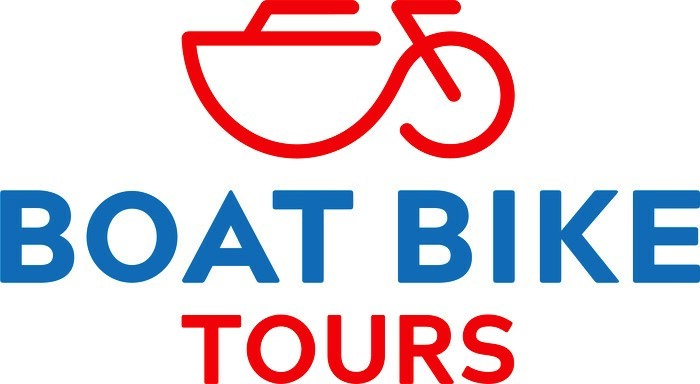 One of my favourite ways to explore a new city is by bicycle, so on my recent trip to Nice, I was interested in seeing what biking tours might be available to travellers. 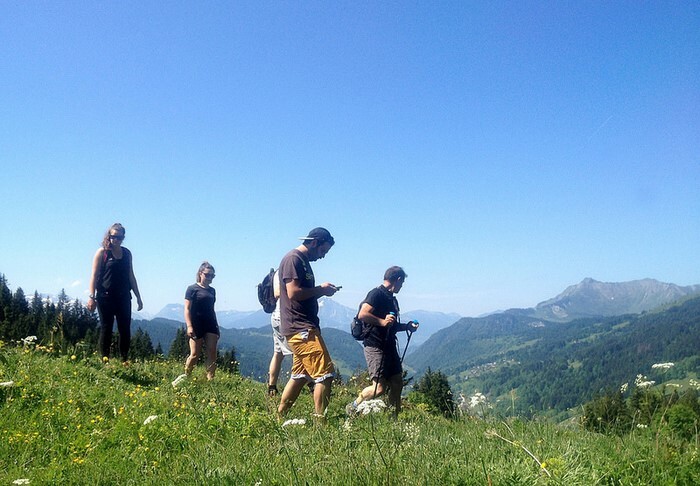 While there are a lot of options, French born, English speaking guide and entrepreneur Eric Greiner offers the opportunity to enjoy a less strenuous biking adventure. 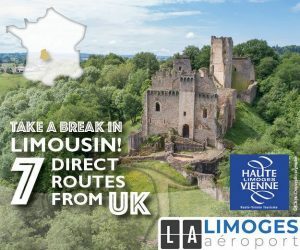 I chose to enjoy France’s fifth largest city with him and Ebike Riviera Tour. 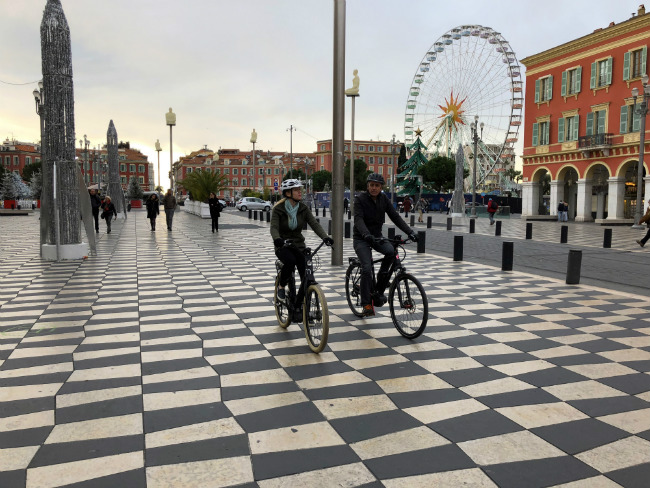 Nice is pedestrian and bike friendly, but hilly, making an electronic bike a great way to get a little exercise, but also more easily take on the hills of Nice’s Old Town. It was my first time e-biking, which provides some electrical assistance to riders and can be turned on or off as you wish to make pedaling easier or more difficult. You can also automatically let the e-bike sense this for you, giving some assistance when sensors pick up hills, a headwind or other challenges. 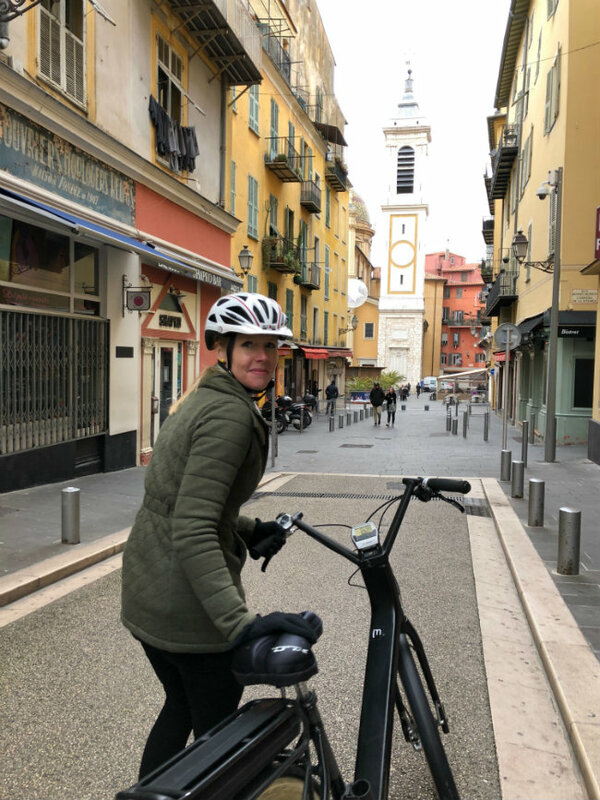 Nice’s old town is charming and exploring by e-bike allowed me to easily travel at a relaxed pace, taking in the beautiful Baroque churches and pastel homes. Up until the 18th century, most of the city’s population lived in the Old Town, a market town whose tradition of outdoor markets continues today. We made our way through the narrow streets to Cours Saleya, the fabulous antiques market. Getting off our bikes to explore, my only regret was that I was biking, as I could have certainly picked up a few larger items, ranging from art to a vintage kimono, at this outdoor market. Continuing our adventures, we cycled through Place Massena and down to the famous Promenade des Anglais. 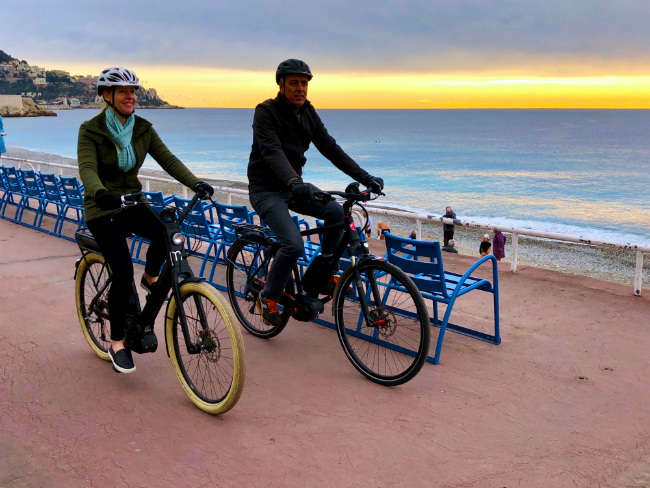 Biking along the promenade is truly a treat and even though I did this adventure in December, Nice’s mild climate made it feasible to enjoy the adventure with some well thought out layers and gloves. My cappuccino at a local coffee shop also helped on one of our biking breaks. Plus, Eric shared some local’s tips for what to see, do and eat in Nice, valuable information I’d use later during my own exploration. There are many interesting things to see and do along the Côte d’Azur, but these three experiences were standouts on my recent trip and accessible to travellers of varying skill levels and budgets. About the author: Darley Newman is the five time Daytime Emmy Award nominated host, writer and producer of “Travels with Darley” and “Equitrekking” on PBS, AOL, MSN and Amazon Prime. Look for her new episode featuring the Cote d’Azur as part of “Travels with Darley’s” fifth season on your local PBS TV station. Darley Newman is the five time Daytime Emmy Award nominated host, writer and producer of “Travels with Darley” and “Equitrekking” on PBS, AOL, MSN and Amazon Prime. I lived on the Cote d’Azur for 9 yrs. and it is a lovely place, as shown in your videos to visit (the city “Cannes” is pronounced “can” not “con” by the way). 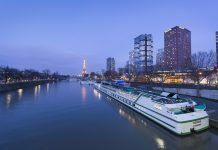 As with every place, there are pros and cons (no pun intended)! Yes, and Cote d’Azur rhymes with “pure”, not “purr”. Hi Darley. I loved the article. I was in Nice in November and March. I will have to add a classic car and e-bike rental to my next visit. When in Cannes preferably on a sunny day do as the connoisseurs – take the little ferry boat to the two Lerins Islands – a ride of half an hour – for a lovely swim and an equally lovely lunch at one of the many little restaurants as you step ashor on the St Marguerite island. A most relaxing alternative to risking your life on the dangerous Cote d´Azur roads no matter how fancy the car you drive. Taking the bike is fine just as there is a fine wonderfully inexpensive public transportation system wherever you are. And every Friday we take the local train across the border to Italy and Ventimiglia for a day of fun at its famous huge outdoor market. We are in Nice right now for a month and love it. A great walking city. Our day hiking around St Jean Cap Ferat was wonderful. (Bus #81 @ Place Garibaldi). By the way the Cours Saleya market is only for antiques one day a week (Sunday I believe). The rest of the time it is a beautiful flower and delicious food market bordered by some great seafood restaurants.